TJS, Inc. is dedicated to providing the industry’s best customer service with comprehensive support nationwide. Our team staffed with specialists will work with you to help resolve any problems you may incur. 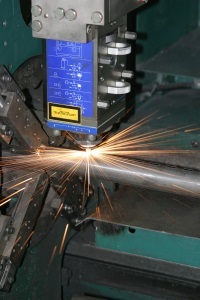 TJS, Inc. offers field service for all types of lasers including Industrial, Medical, Cosmetic and Aesthetic systems. Our field service operation is based in Sanford, Florida with regional locations throughout the United States. Our trained sales representatives and distributors provide service and technical support for all our products.